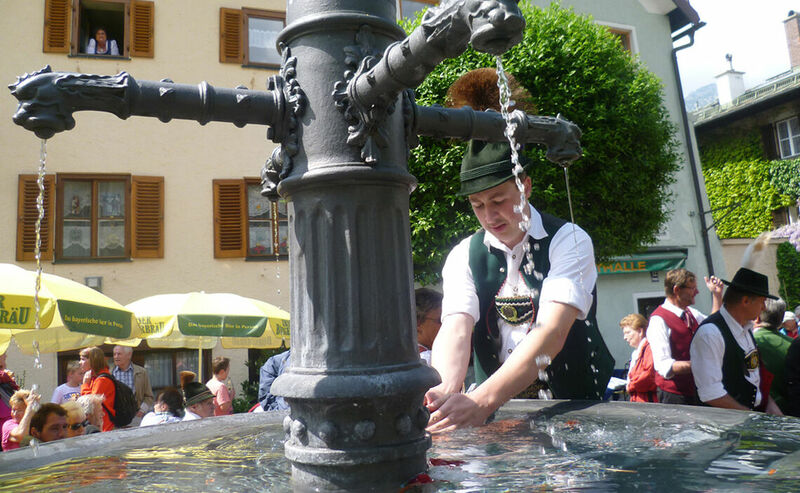 You can witness this spectacle in nearly every township of the Berchtesgadener Land. 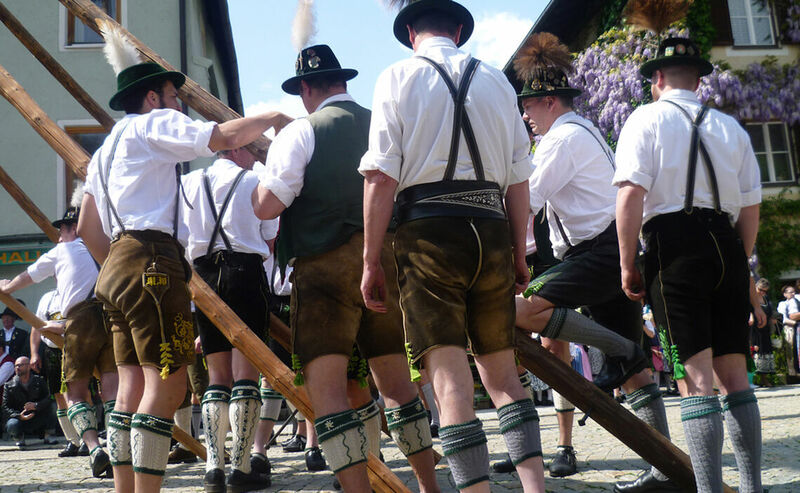 Regional specialties such as locally brewed beer or pork roast, as well as Bavarian music and locals wearing the traditional dress all form an integral part of the main attraction. Once the men and young boys have cut down the tree and stripped off its bark, it’s the local women and girls turn to decorate the top with wreaths, signs, pretzels and sausages. Competition among the townships has become a tradition here as to whose maypole is the prettiest, tallest or most impressive. Maypoles have sometimes been stolen in the night before the event. 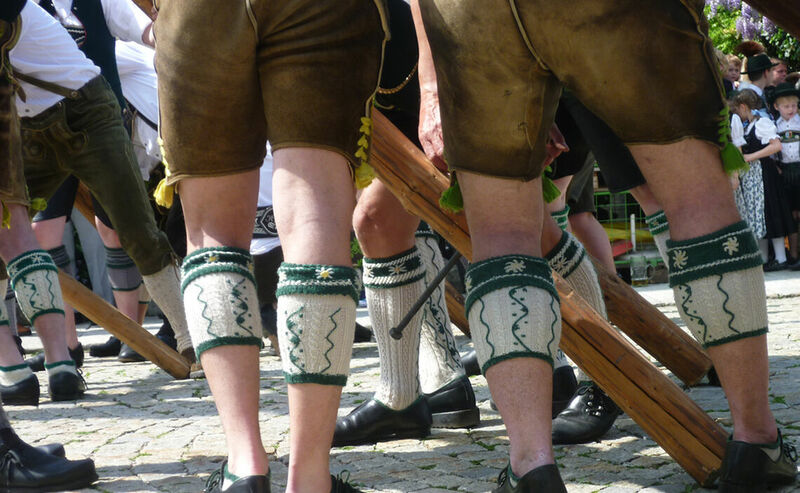 It is then returned only for a ransom: a copious Bavarian snack that is usually harmoniously shared by both communities. 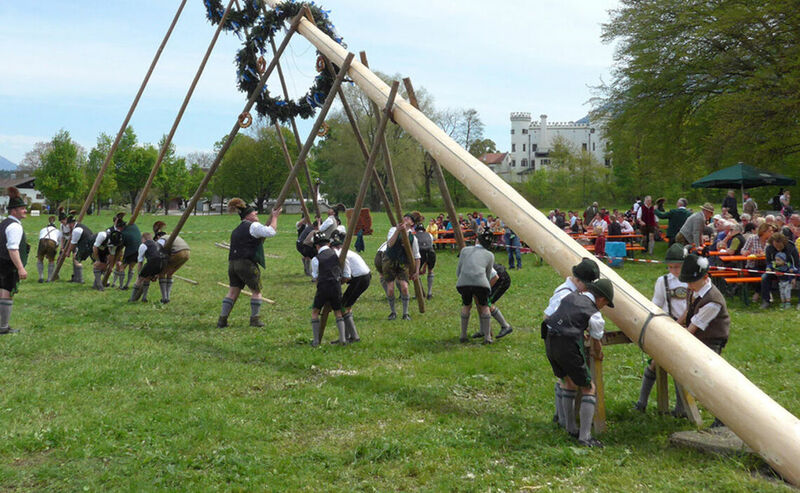 The maypole, towering some 25m tall, is slowly raised over a period of several hours. 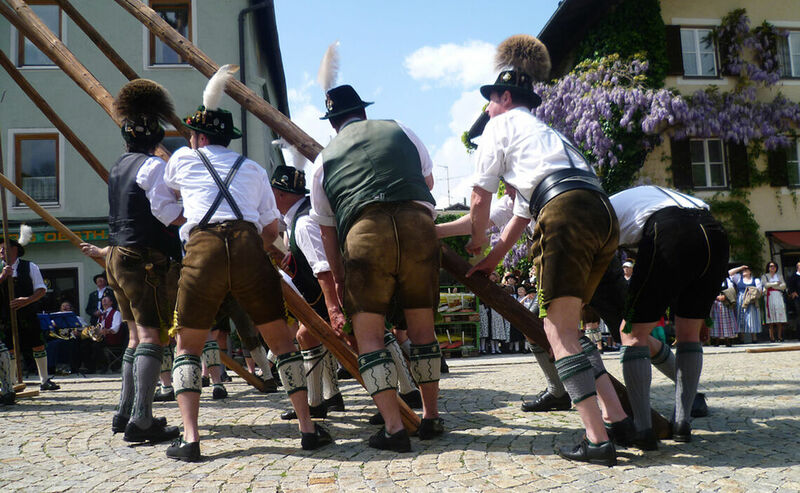 To this effect, the traditional association’s members make use of a special technique, as well as muscle power and the moral support of the local band’s oom-pah music.